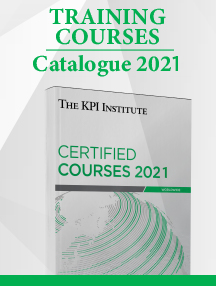 The moment KPIs appear in our organizational life and journey along with performance reviews, targets, performance rewards and other elements, the change done to the current system starts to impact not only the business’s processes, but also its employees. That being said, while this is obvious for most people to a certain extent, the side effects are sometimes neglected. Focusing on the activation of the system itself – defining objectives, selecting KPIs, documenting KPIs, activating the system, occupying your time with data reporting, analysis, so on and so forth, an organization might be missing the human element, which ultimately drives an insecure, unstable and moreover, unhealthy system. It might sound harsh to accept the word unhealthy, but that’s a critical differentiator in building up a performance-oriented organizational culture, not just some lifeless tools to be operated by some robot-employees. This means we need to strengthen what is known as the human element. People have doubts & fears; dealing with the human factor generates bigger challenges than the difficulty of creating a relevant Scorecard. In the last 2 years, I’ve been working with both private and public sector organizations, implementing Performance Management Systems based on KPIs. 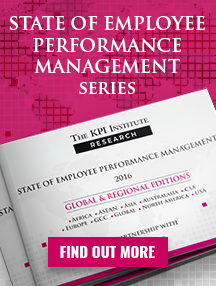 The need for performance management is shared worldwide, transcending sectors, industries or markets. Today’s article outstretches my personal experience in working with organizations operating in areas ranging from communication, production, insurance, education, to production, transportation, energy production and infrastructure. Therefore, I’d like to share some messages to mull over, in case you are interested in implementing such a system or simply trying to identify what is not working well on your already existing system. In one company, given the highly data-oriented drive of the system, several staff members mustered up the courage to share their fears of becoming easily-replaceable. The system is active, functional, extremely transparent, self-sustainable and comprehensively documented. This is totally wrong! It could not even get more wrong than this. Why? Well, I’d first like to state that if managers really believe this, maybe they should consider looking into a course, training or coaching session on how to approach your employees and understand their fears, trying to work things through, instead of bulldozing your way. Secondly, if this fear is only created in the employees’ mind just by imagining the future, then the organizational message that comes along with the launching of the system should reinforce the organizational culture and the real intentions and effects of such a project, reassuring everyone that they will not be swept away by it. Quite the opposite, they will receive the chance to further improve the company’s performance, without having to invest hundreds of hours into this endeavour. What better proof of successful leadership than to create a system that allows you to go on vacation, without being constantly contacted over the phone by your employees whenever unforeseen issues arise? That means that it is clear for everyone what they need to do, even if you are not there to lead. Story time! I once attended a General Director’s introductory speech, announcing that a KPI Management System will be launched. The speech was going alright. However, nothing prepared me for what followed next. The director mentioned that the system is meant to track organizational performance, as well as any progress made towards the established targets, with the ultimate goal of removing low performers with constant Red (far below target) results. This is one of the worst ways of trying to introduce a performance measurement and management system to your employees, aside from it completely missing the entire point of the system in the first place. Our philosophy says we should address and support those areas that don’t perform, to bring them to Yellow (in tolerance range) and afterwards to Green. It’s not a matter of receiving Punishment but Help, Attention and Support instead. Simply removing an underperforming employee might be seen as an option in that moment, but it is highly risky. You’ll now have to employ someone new, who’s never worked for your company, so they have little to no idea what your company wants from them. Most probably the new recruit will face the same challenges, generating the same Red results or even worse, considering that the induction process takes time and that person won’t be as familiar as your former employee to the business processes, as mentioned. In the end, what do you get? A feeling that you’ve changed something (the person) but most probably, not the situation and its cause. This represents the polar opposite of Sandbagging (establishing lower targets than the realistic level). Inflated targets will reduce employees’ trust in the system. Let’s say as a manager, you’ve imposed a 40% target, to keep it safe. We’ve struggled to reach 30% only, we feel disappointed for not being there yet. You seem to be quite happy and relaxed about our result. This now shows the employees that they and the manager operate in different realities. While it’s a common practice for managers to inflate targets – 40% in this case, just to make sure the real desired result – 30% in this case, will be reached. When an employee finds out, they won’t trust the targets for the next performance cycle. I personally consider it highly unfair and I don’t resonate with the idea of “imposing” targets. The desired level of results should be set up as a collaborative process, considering the necessary resources and their allocation, according to the established target. In addition to this, remember that disregarding the human element in the target setting process can produce even more negative effects. If you want an in-practice example, take a look at the Well Fargo scandal back in 2016, when their employees had to meet sales targets that were too high, otherwise they would lose their jobs. They did so in a manner of ways, primarily though by abusing customers’ private information. the necessary resources and their availability. Ambitious, yet unrealistic targets won’t work in the long run. If there’s a way you consider it to be realistic, share it with your team, adjust the process, allocate resources, re-calibrate the plan and lead the way. Otherwise, it’s going to be just your illusion. With the fear of extra work, I mean adding new responsibilities and associated tasks (creating and structuring the data collection systems, data reporting, new meetings, etc.) to be completed during the same working hours, while still having to do one’s regular tasks/projects/initiatives. 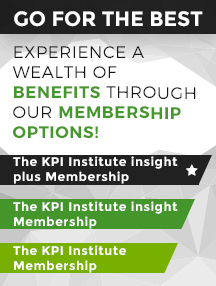 We must all agree that it takes time to accommodate the design and activation of a KPI Management System. The initial effort is considerably bigger than the routine we’re aiming at creating throughout time, with such a system. Some of the traditional messages we constantly hear within organizations are “We have a new project” or “From now on we are going to start working on …”. This tells people that they are going to get more work and no extra incentive to do it. For them it will look like a nightmare, and the moment we disregard our employees’ workload, things tend to feel like an ordeal. I have oftentimes heard from staff members that it’s not fair to allocate new tasks, without allocating the time for their completion. They have a point. They feel overwhelmed and rightfully so. It’s nice to launch new projects, to improve, to address new initiatives, but at the same time it is important to create the space and availability for these to take place. You can’t fill an already full bottle; first your need to pour some of the existing water in it, to be able to fill it anew. 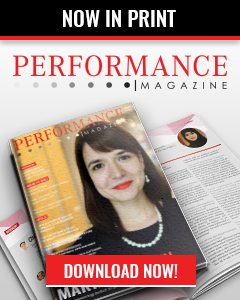 Getting employees’ buy-in for a KPI Implementation project is already a cliché, however somehow, everyone is still asking themselves how to do it right. Dear managers, I know this is going to be a tough one, I know, but the only reasonable solution is to suspend for a while some of the current activities and projects, to make time for the new ones. Ultimately, that’s how you create a valuable, fair and stress-free relationship between you, your employees and the soon-to-be implemented system. From an employee perspective, hearing “From now on we will be suspending some activities and projects, to increase the availability for others” sounds both interesting and worrisome at the same time, because you do not know what to expect. It doesn’t happen quite often, as far as I have seen in the organizations I’ve been personally working with, mostly because it’s difficult to let go. I’d go so far as to say it actually rarely happens. But when it does, you feel the commitment, interest and respect of your staff members for their new project. They get the chance to be personally involved in the implementation of a new system. If you were honest in recognizing and giving the adequate importance to employees’ workload, you’ll see that instead of being disgruntled, they’ll be slightly curious. Now, some of you might say “Oooh, this is not applicable for us. We can’t suspend any activity, for instance we can’t stop production”. Well, yes, I agree that the analysis must be done on a case by case basis, but if you really care about your employees’ well-being, you can accommodate discontinuing some tasks. Each employee involved in the implementation should devote about let’s say 4 hours a week, for 2-3 consecutive months. As those months pass, time investment into the system will start to slowly decrease, because Performance Management will have become a regularity, with fewer challenges and little to no vagueness. 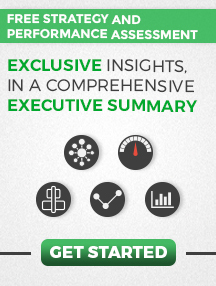 To summarize, make sure you treat the human element of a KPI-based Performance Management System right. Do not neglect it, by simply focusing on implementing the system, and believing that it will become lively once people are working with it. In doing this, you will only create an empty shell. The system will be just files, paperwork, procedures, meetings with no real sense of belonging or any commitment. It might work, but instead of driving the car, with your employees as engaged passengers, you will all – yes, that includes you the manager, be pushing the car from behind, only thinking about why are you doing this in the first place.